I’ve just uploaded the slide for my talk during FOSDEM 2011 here. It was very nice to be able to talk about our somewhat ambitious plan to bring LibreOffice Calc to the next level. Also, I regret that I haven’t been able to blog about what’s been going on lately; lots of time spent on writing, reviewing code, fixing bugs and integrating patches, and sadly little time is left on writing blogs. Having said all that, let me talk about a few things that are new on the master branch (since I’m already in the writing mode). which is based on the design suggestion from Christoph Noak and coded by Joost Eekhoorn. 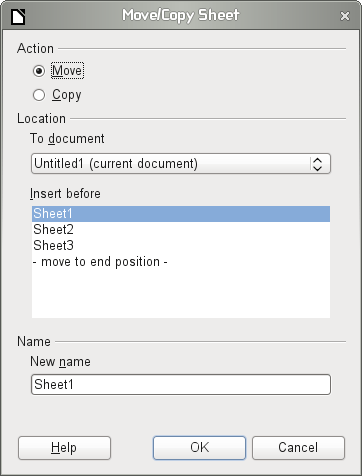 The idea is to provide a quick way to rename a copied sheet, and also to make the layout more ergonomic and more appropriate to modern HIG. There are still some minor issues that we have yet to work out, but this is a step in the right direction. The second one is related to DataPilot. In fact there are two new enhancements landed on master with regard to DataPilot. The first enhancement is the support for unlimited number of fields. 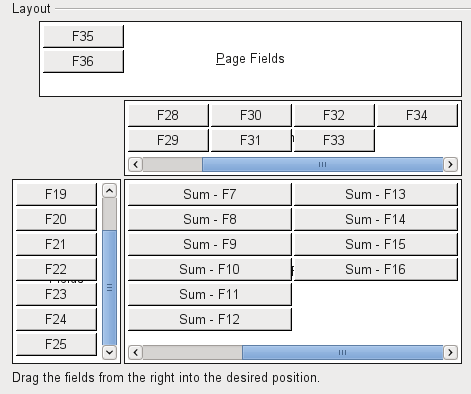 Previously, DataPilot could only support up to 8 fields in each dimension (page, column, row and data). But now you can define as many fields in each dimension as you desire, provided that you have enough memory and CPU cycles to handle extra load. The second DataPilot enhancement is the support for named range as the data source. Now, you can use a named range as the data source of a DataPilot table, instead of raw range reference. This has the advantage that, when your source range grows, you can simply update the named range and refresh the DataPilot table. However, I have not yet added a way to create a new DataPilot table with a named range as data source. I will work on that sometime soon, hopefully in time for our 3.4 release. Other than that, I’ve fixed quite a number of bugs and added performance enhancements particularly with regard to external reference handling. Still, there are lots of other tasks I need to do on master before we hit the 3.4 release. Stay tuned for more updates.